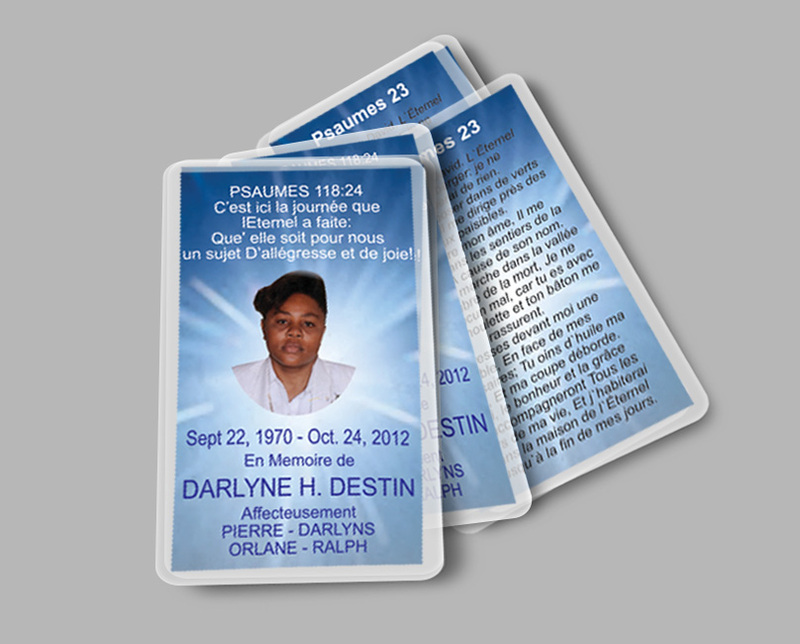 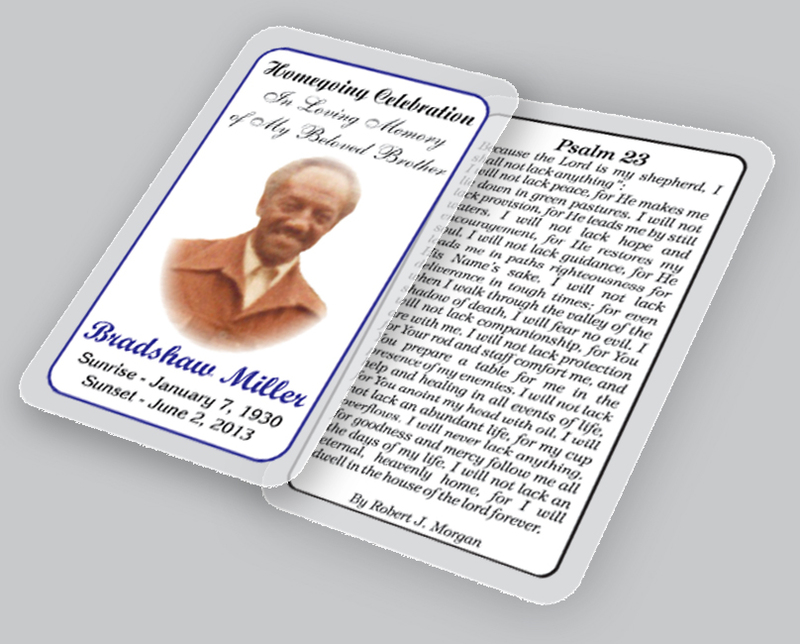 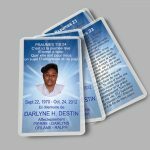 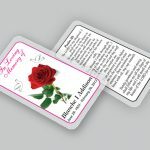 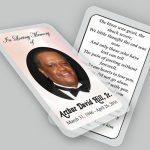 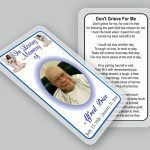 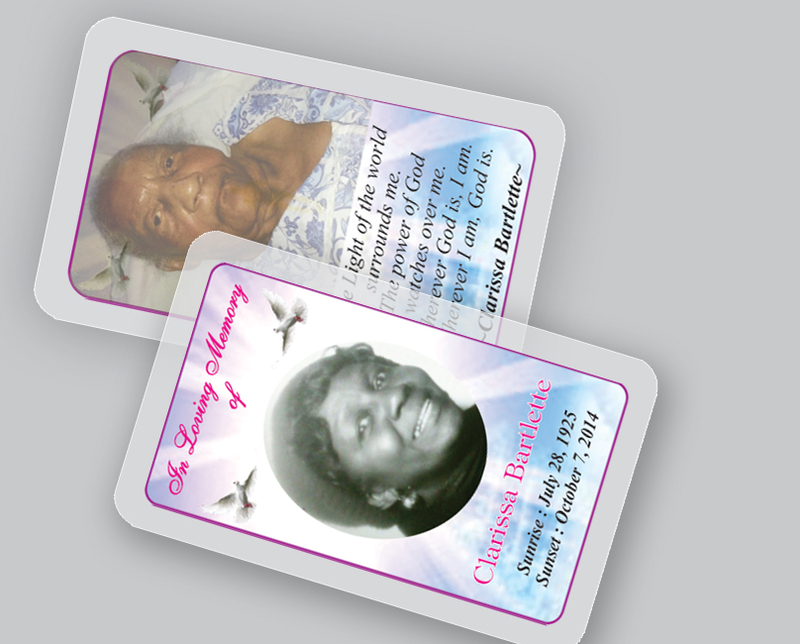 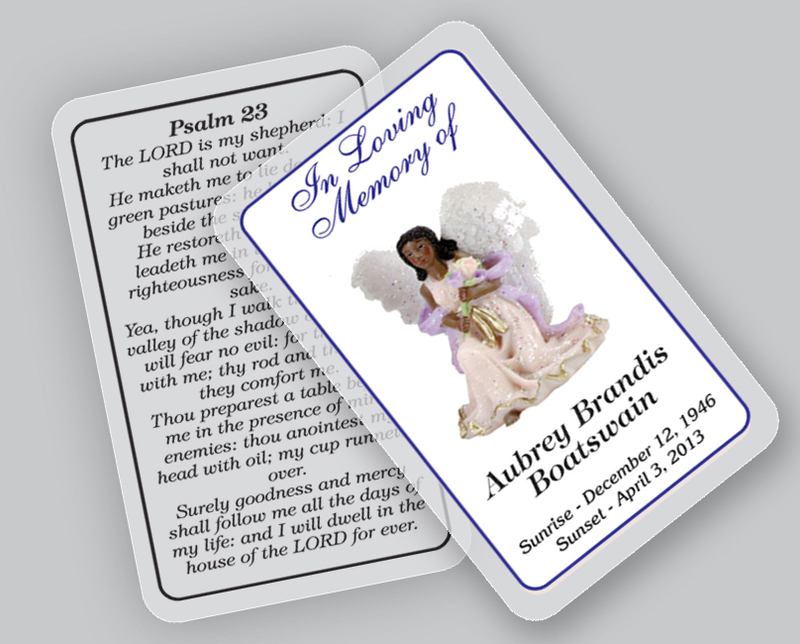 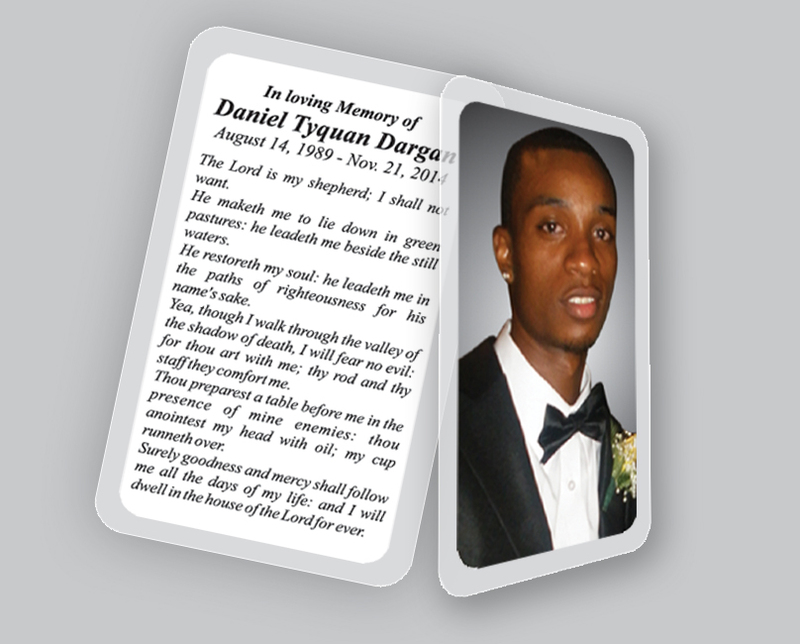 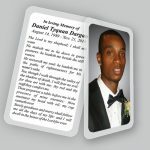 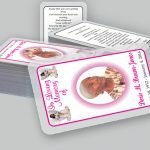 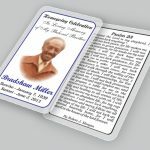 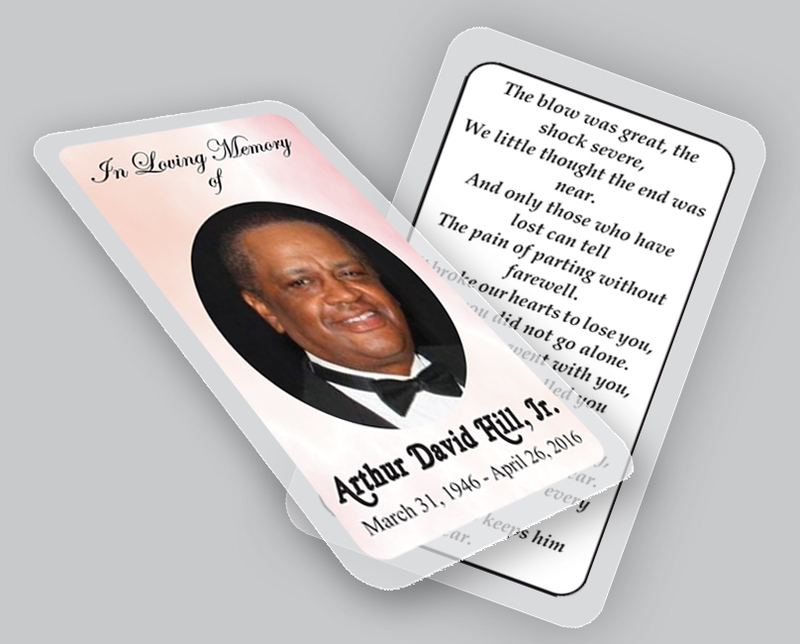 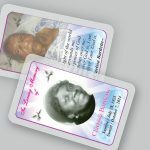 St. Albans Digital printing specialize in personalized full color laminated memorial prayer cards for funerals. 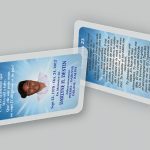 These prayer cards are also known as mass cards or holy cards. 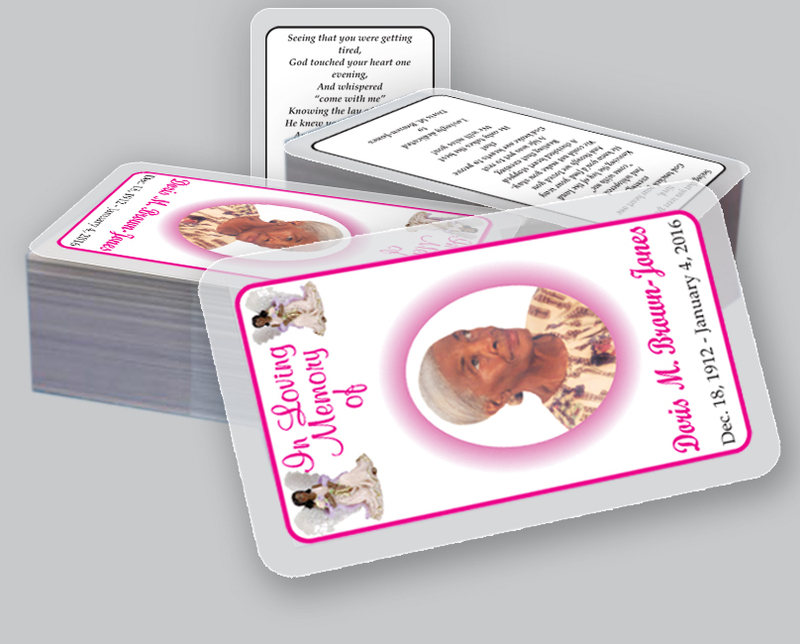 Prayer cards are the perfect keepsake to distribute during funeral wakes or visitations, memorial services and church services. 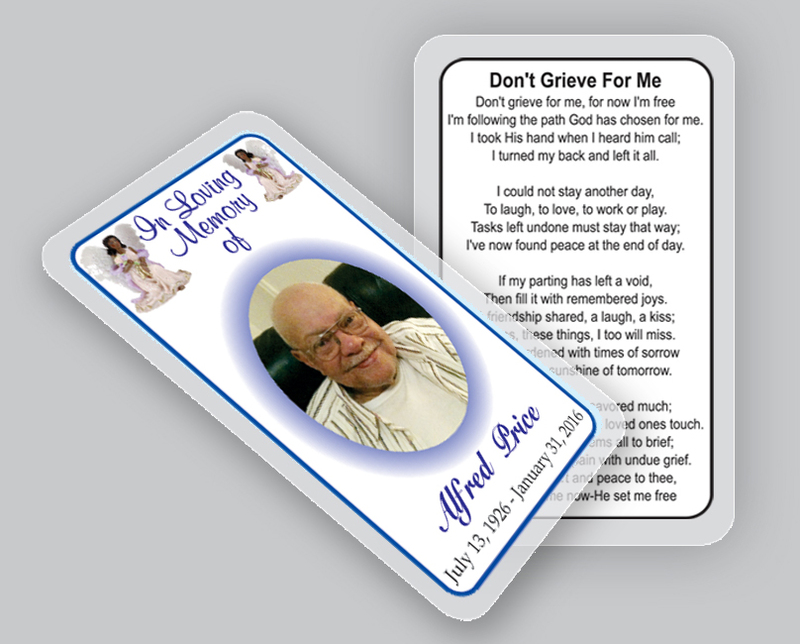 Also, it is a beautiful and fitting keepsakes for people to remember loved-ones and keep them close at all times. 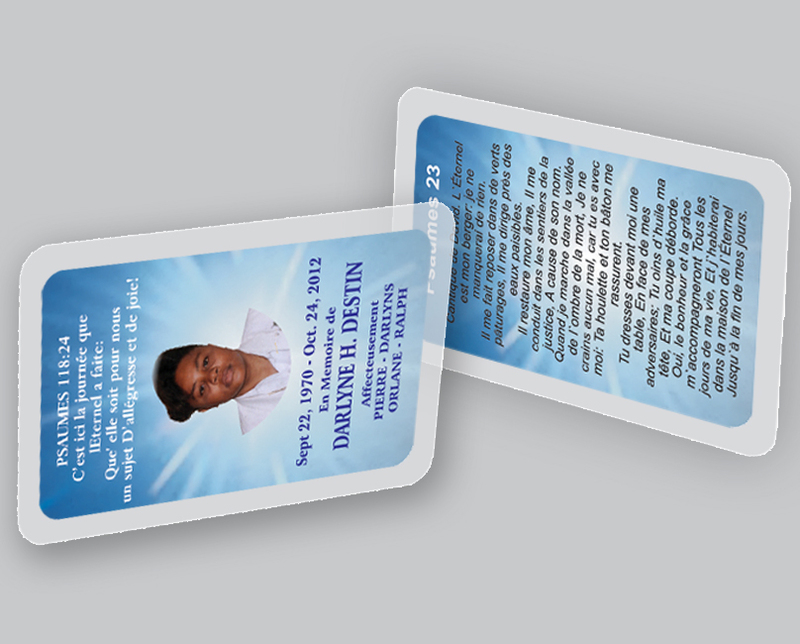 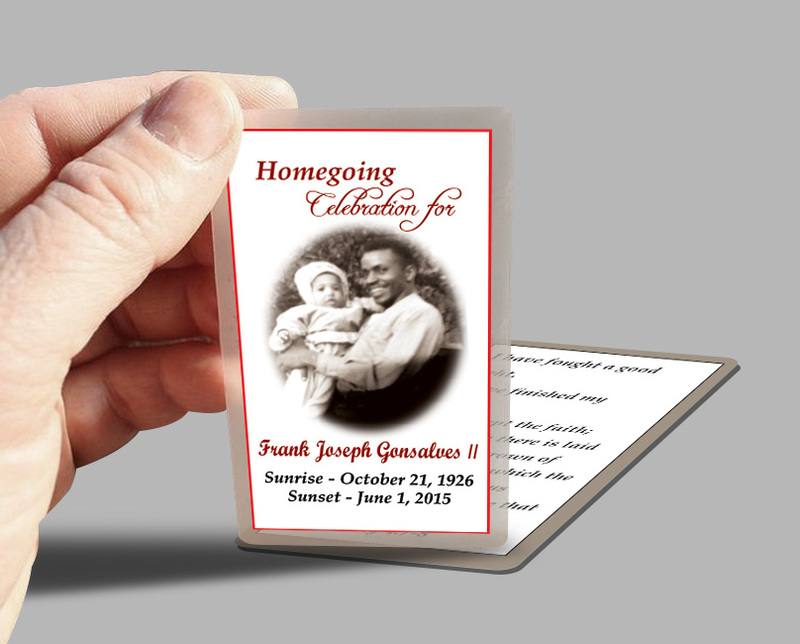 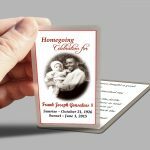 Our custom designed Prayer Cards are laminated edge-to-edge for a clean, elegant finish. 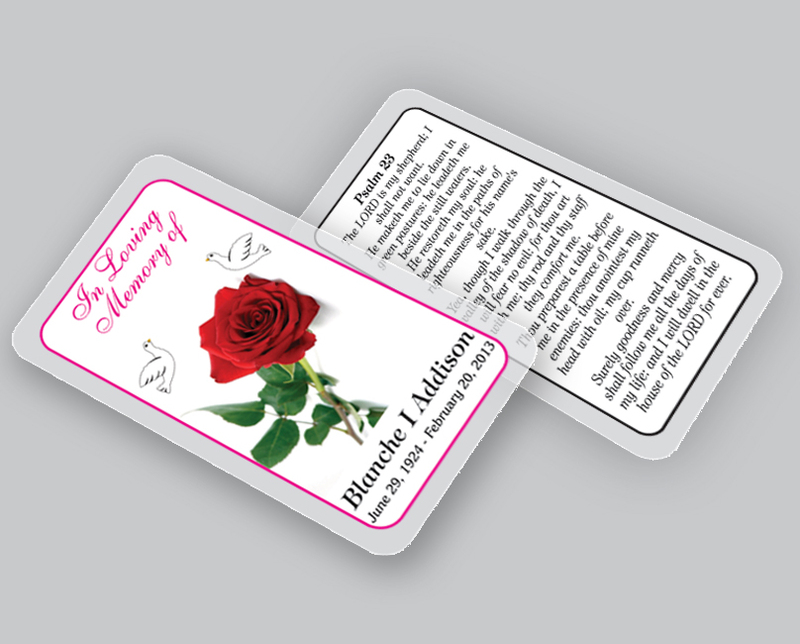 The cards measure 2 1/2 inches by 4 1/4 inches. 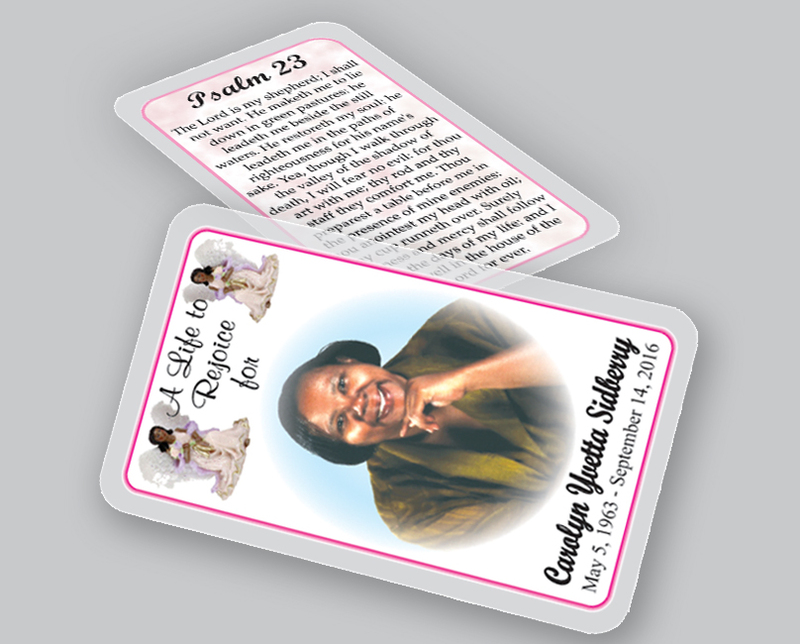 (6.35 cm x 10.79 cm) The full color personalized prayer cards come with or without a photo of your loved one and a prayer/poem on one side. 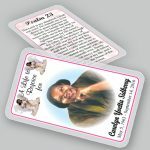 We offer an extensive selection of memorial prayer cards with religious, patriotic, scenic and floral themes. 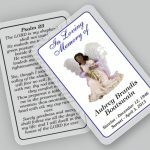 Please take a moment to browse over our variety of prayer cards for a beautiful tribute of your loved one.